The Saxon Switzerland National Park (German: Nationalpark Sächsische Schweiz) located in the German Free State of Saxony near the capital city of Dresden, it adjoins the Bohemian Switzerland National Park (Czech: České Švýcarsko) in the Czech Republic, and is one of the most beautiful landscapes in Europe. 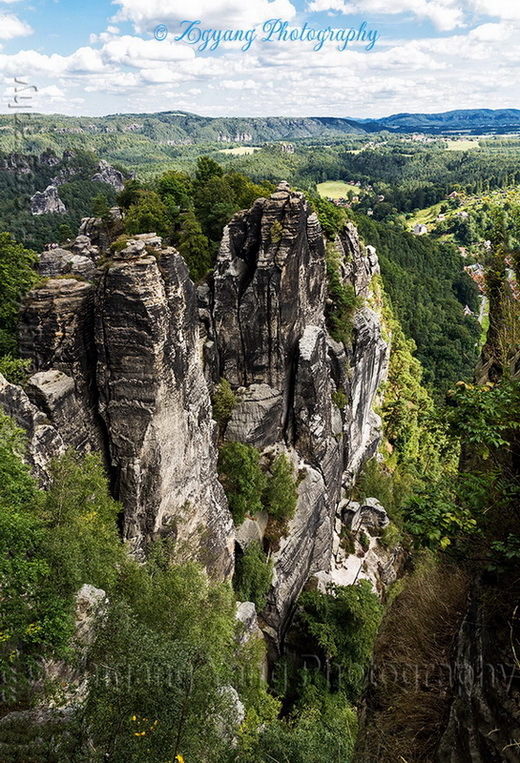 There are 400 km² of marked hiking-trails through the National Park, the area occupies almost 710 km², and cultivated by humans in many places. 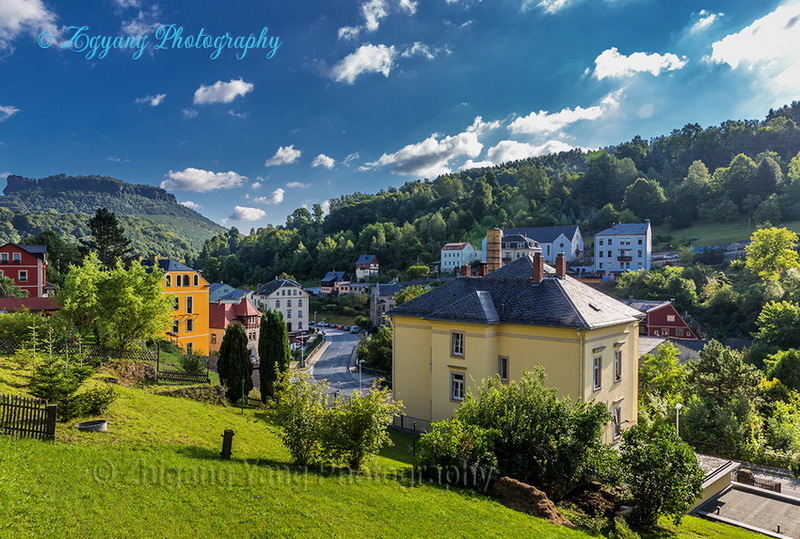 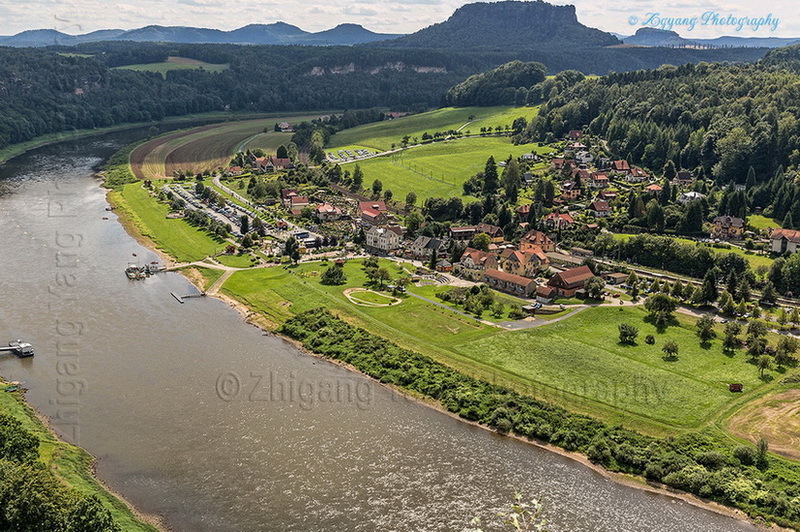 Some smaller towns and villages like Bad Schandau or Königstein in the district of Sächsische Schweiz are part of this region. 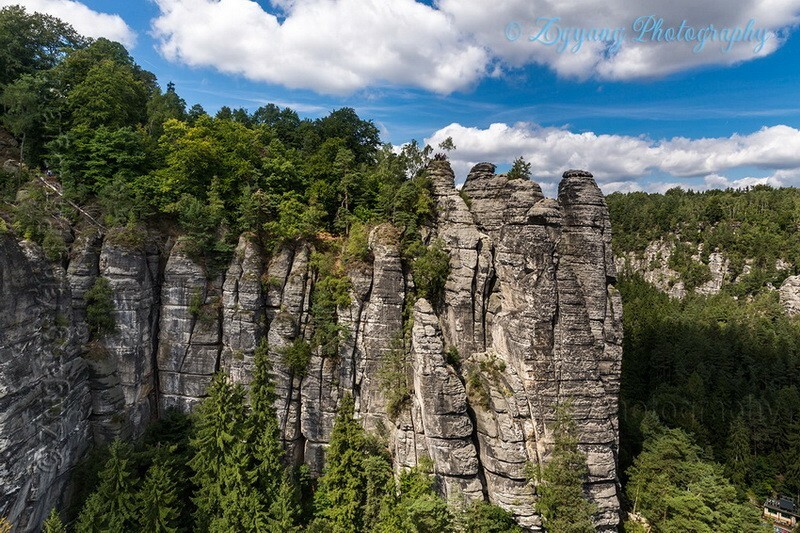 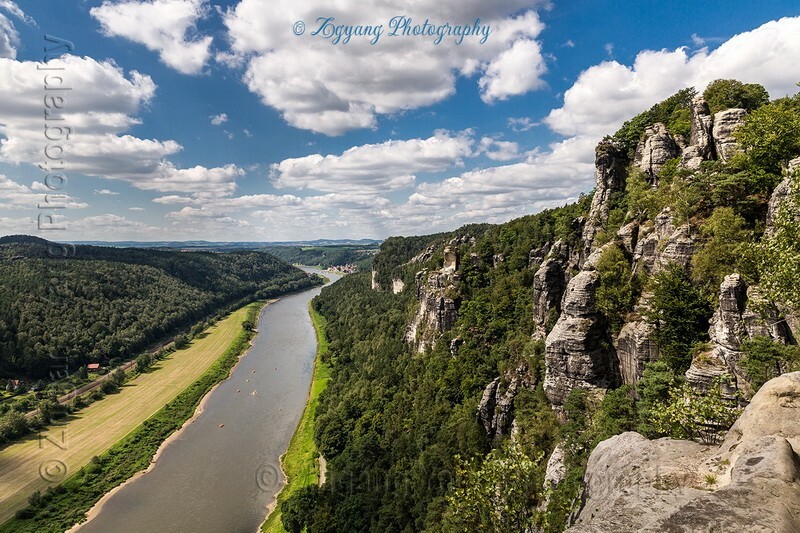 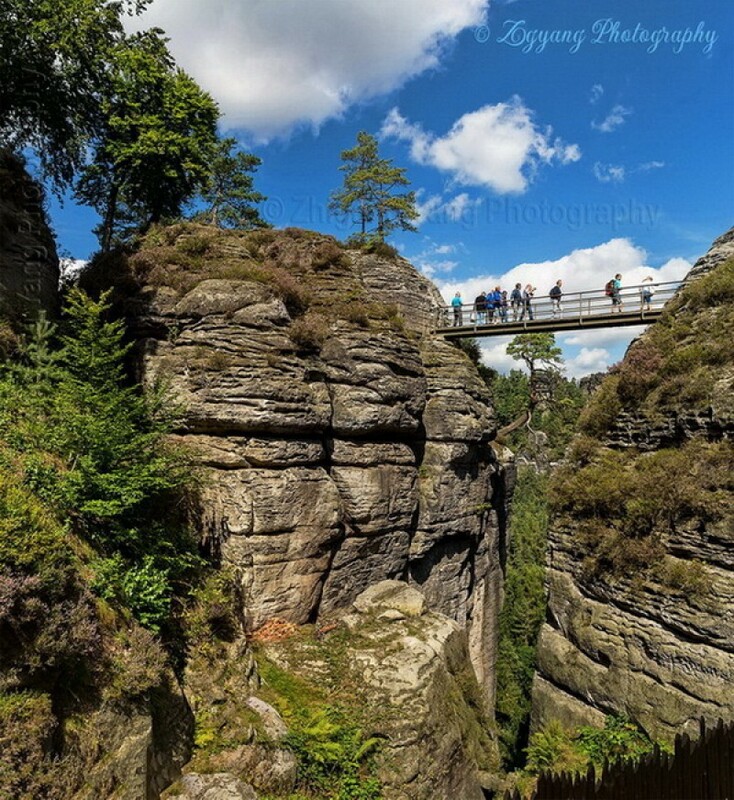 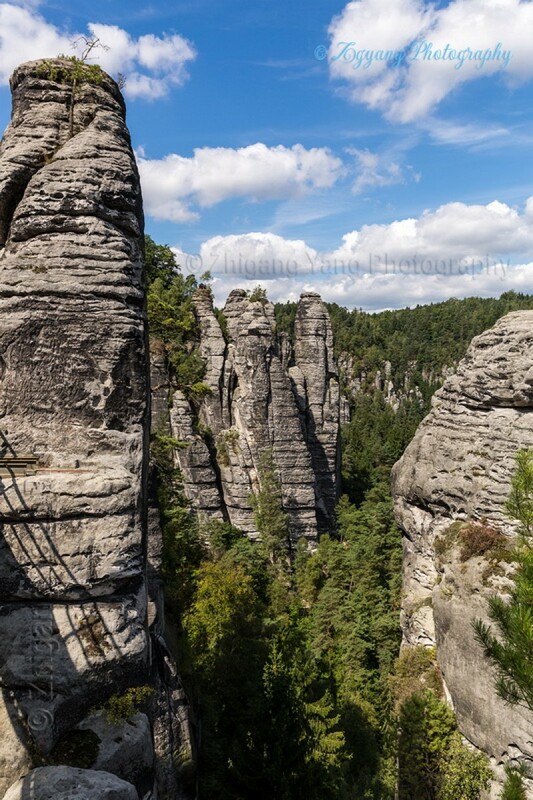 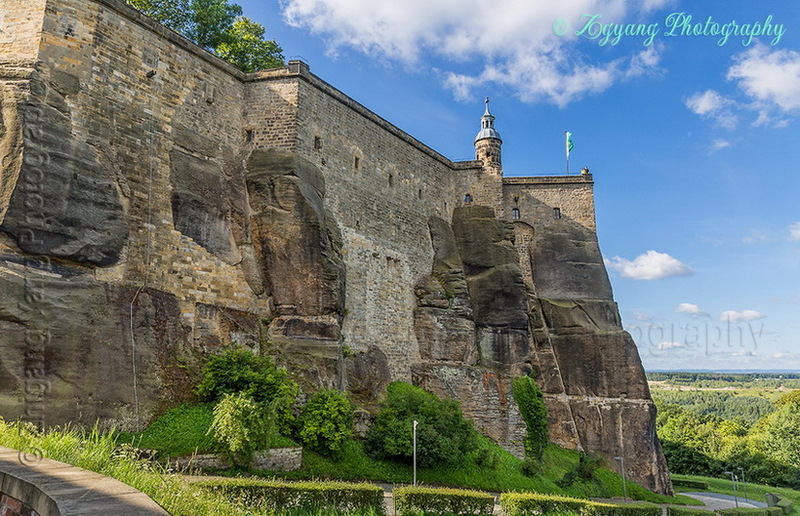 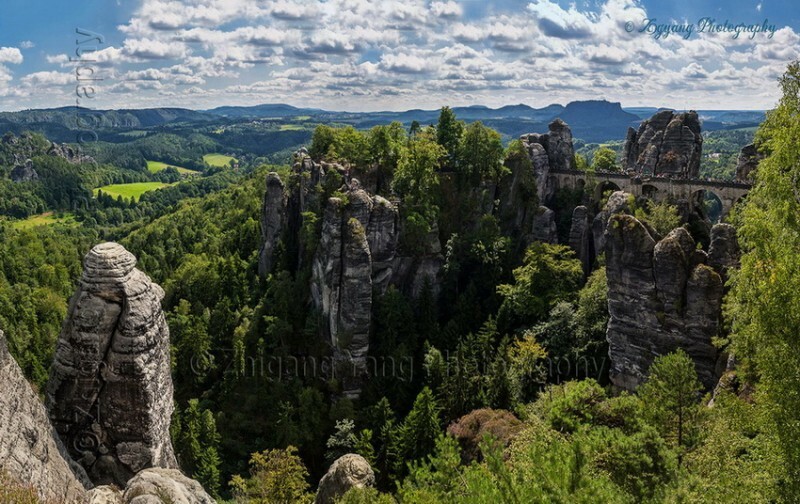 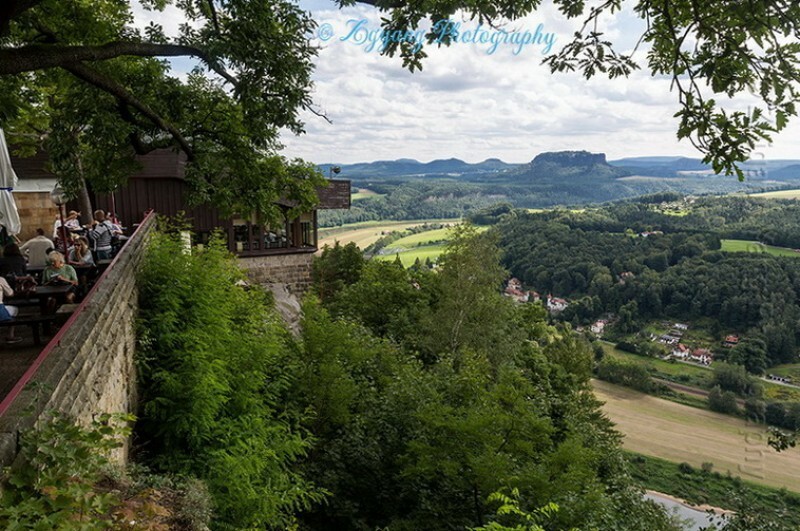 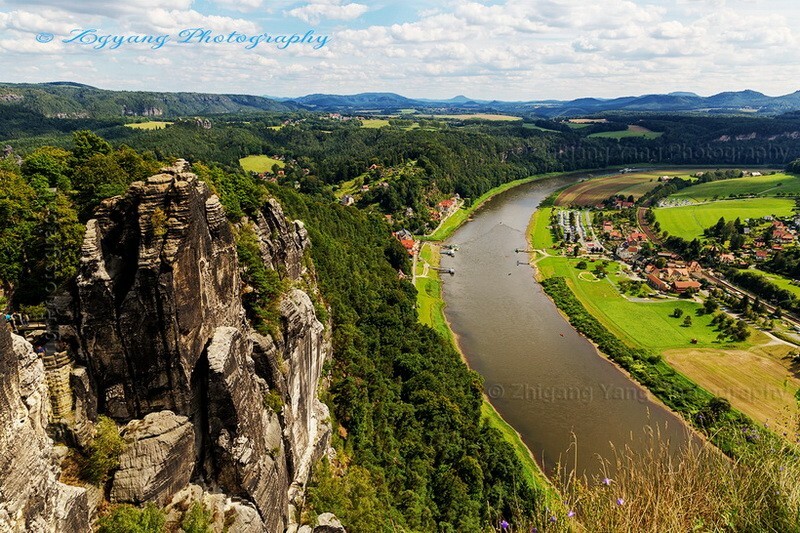 The Saxon Switzerland is an intensively fissured and rocky canyon landscape. 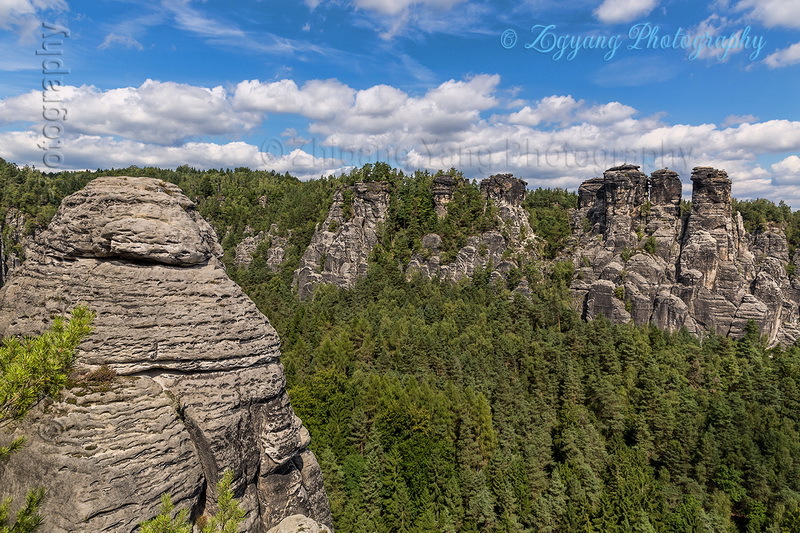 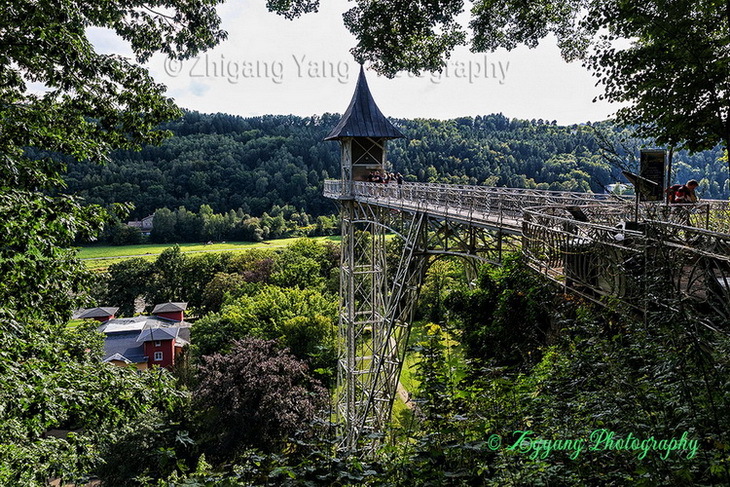 The highest peak of the National Park is at 556 metres above sea level but only in short distance to the valley of the Elbe river at 110 to 120 metres. 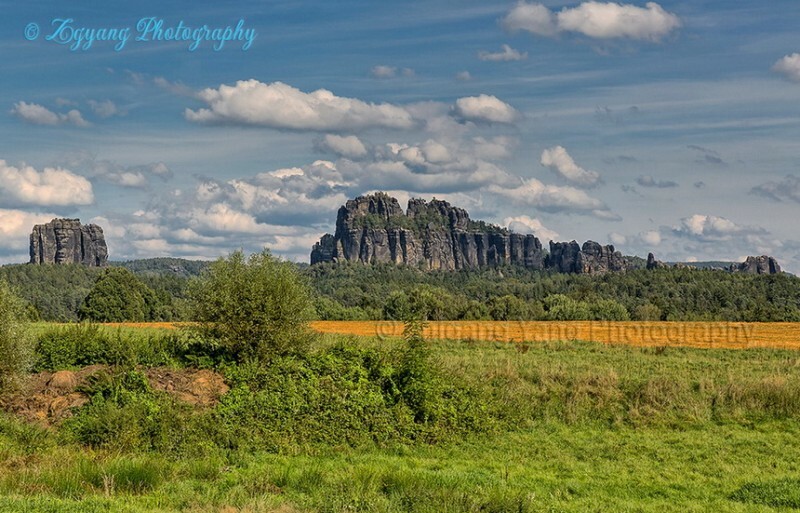 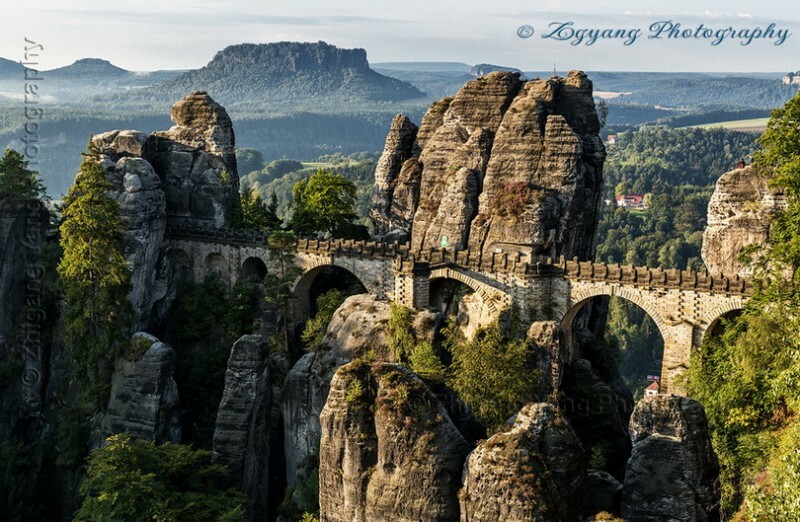 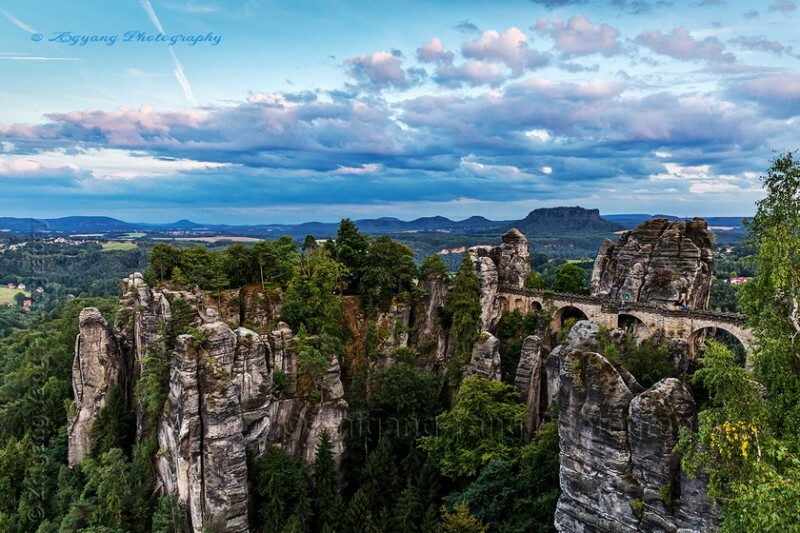 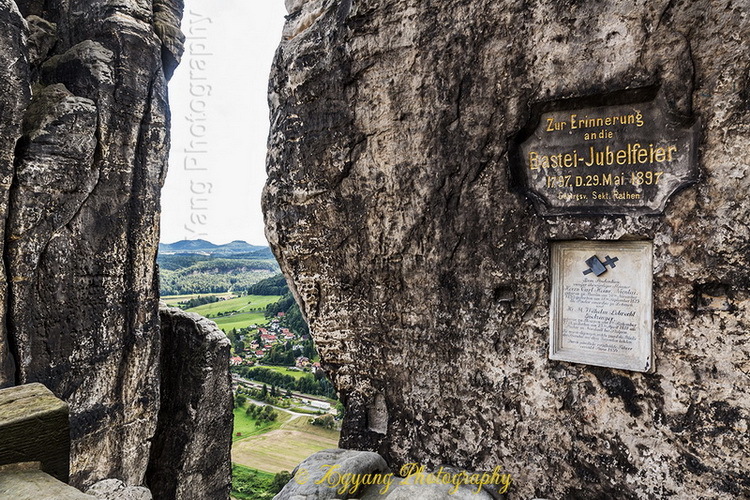 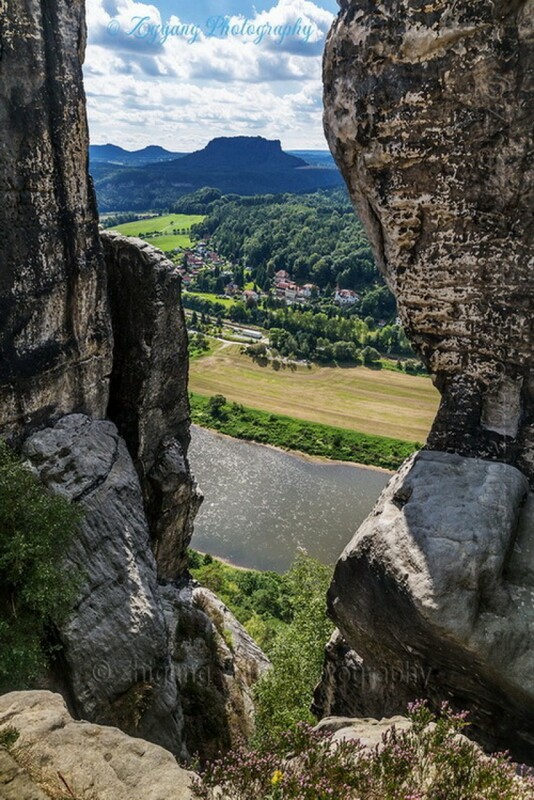 The Bastei is a rock formation towering 194 metres above the Elbe River in the Elbe Sandstone Mountains. 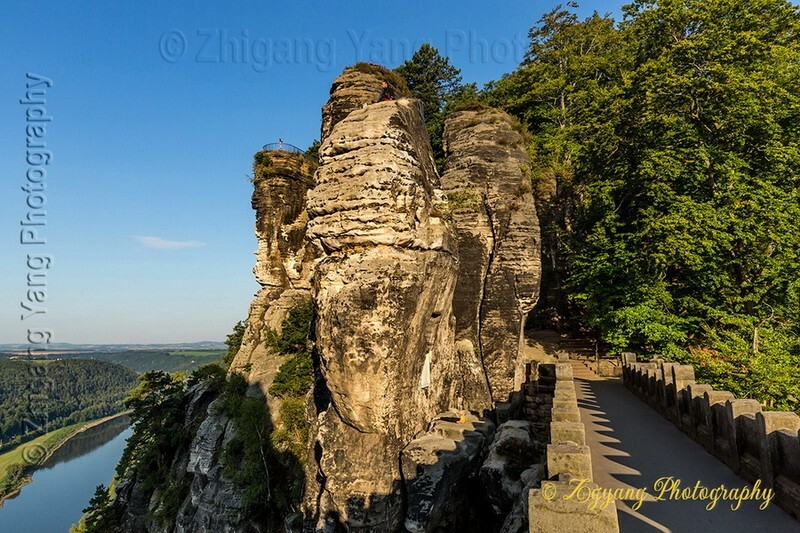 Reaching a height of 305 metres above sea level, the jagged rocks of the Bastei were formed by water erosion over one million years ago.